With all the broken stuff in Edinburgh getting me down, it was time to head to the Highlands and toss a few cabers and speak some Gaelic to get me back on track with loving the Scots. 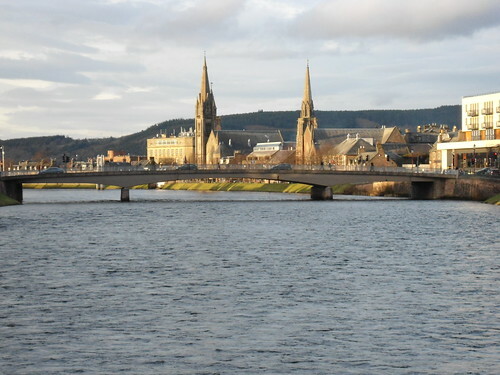 First stop: Inverness, the capital of the Highlands. Situated at the mouth of the River Ness, which feeds the famous Loch Ness, this was the furthest north I've ever been. 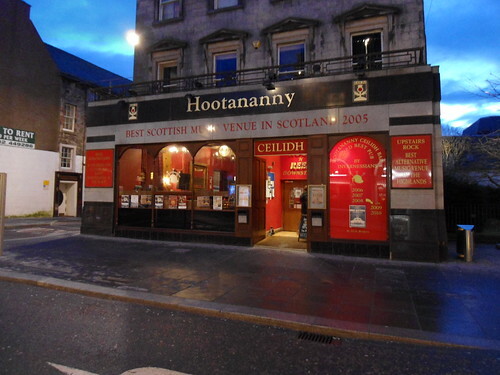 Meghan's vegan friends had recommended Hootananny's as a decent place to eat. A pub that serves Thai food sounds pretty good to me! This pub has a close affinity with nearby organic Black Isle Brewery. 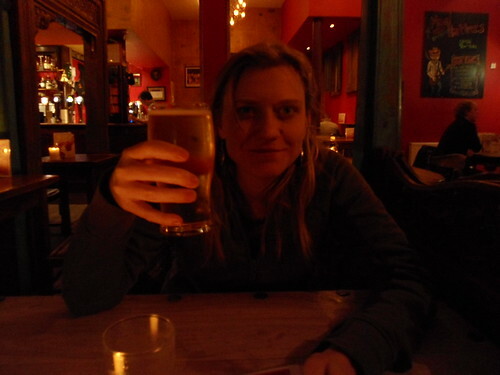 As such, they had at least four of their cask ales on tap. I chose the Porter. 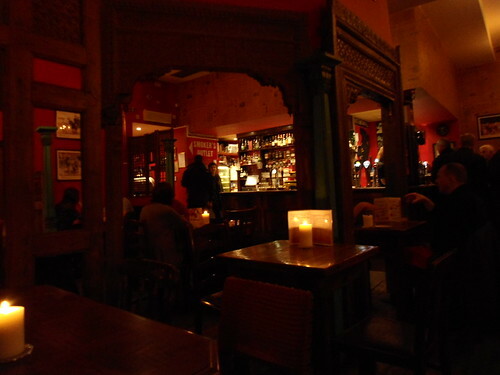 The interior was very warm, red, and intimate. Meghan drank a Strongbow, of course. Cheers!